The earliest form of Japanese Pancake dates back to the 16th century. 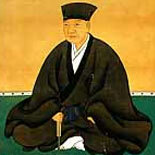 A pancake called "Funo-yaki" was created by Sennorikyuu, the founder of the Japanese tea ceremony. He mixed flour with water and sake and char-grilled the flattened dough. Sweet miso was then spread on this savory pancake before being rolled and cut into a bite-size portion. At the height of the pancake's popularity, there were even Funo-yaki specialty shops. However, the pancake tradition completely disappeared towards the end of Edo-period (1603 – 1868). Some years later in Meiji-era (1868 – 1911) candy stores started selling so-called "Monji-yaki" or "letter cooking". Children learned Japanese alphabets by drawing them on a teppan with watery pancake dough. At one point, people started selling Monji-yaki in mobile food-stalls. The watery dough became thicker to adapt to the mobile environment. This thicker type of dough is still used today. Sometime later in Taisho-era (1912 – 1926), a wave of Westernisation finally reached the kitchen of the Japanese general public. Worcester sauce came into Japan around this time, and was embraced by the Japanese. Thick pancakes from Meiji-era were touched-up with worcester sauce to give them a Western flair. Garnished with a generous portion of scallion, people fondly referred to this new style of pancake as Issen Yoshoku (one-pence Western food) or Negi-yaki. In the late 40's, Japan was still recovering from the aftermath of World War II. Food was scarce and people turned to Negi-yaki, a snack, to fill their empty stomachs. Particularly in Hiroshima, destroyed by the atomic bomb, life was harsh. Food distributed via rations was never enough to save the people from hunger. Kitchen appliances had been long confiscated by the government for manufacturing weapons. Hiroshima citizens picked up metallic sheets from the ruins and baked these wafer-thin pancakes to survive. In an effort to ease their hunger, people stuffed their pancakes with as much chopped cabbage as their make-shift-back-yard-farm permitted. And thus was born the first "Hiroshima-yaki." In other areas, people added available or preferred ingredients. Hence the Japanese name for the pancakes, "Okonomi-yaki," or 'cook as you like'. Its' popularity soared when a Japanese Pancake restaurant in Osaka introduced the use of mayonnaise as an additional topping. Since then, mayonnaise became an integral part of Osaka-style Japanese Pancake.